Come back to yourself in this body-mind restoration Yoga Nidra where you can experience the technique in person. Yoga Nidra is a guided relaxation that you listen to as you rest in a totally supported posture. This can be lying down or sitting, or reclining. We use lots of cushions, bolsters and blankets to ensure we are fully supported in our posture, so that we can deeply let go at a pace that suits us. 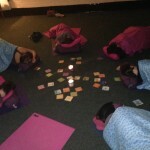 Resting in yoga nidra to reverse depletion. As you rest, you will be guided into a relaxation by my voice. Sometimes focusing on the breath, sometimes on the body, sometimes on sensation, sometimes on imagination. Each Nidra practise is brought to you from the heart, with an invitation to let go and release yourself from the multi-tasking pressures on our lives that makes us forgetful, short-tempered, tense and restless… or a combination of other reactions to stress such as anxiety, apathy and inertia. Feel refreshed and complete again, replenish and nurture your body, mind and soul into feeling whole, and safe, again. Release back into your body and feel totally supported by the universe, and the earth beneath you. 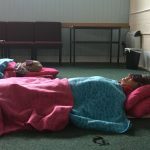 When you are settled in Nidra you remain present and aware, and may drop into a sleeping state but this is normal if you are actually over-worked, over-tired and over-stressed. You will be guided into and out of the different techniques within the Yoga Nidra. Your nervous system will begin to let go of the fight or flight response and gently flow into the peaceful side or rest and digest. The feeling of being home, and welcome, and settled in your own body without need or want, for the whole duration of the practise, to bring you back to being you, and inviting a positive impact on your life as you rest deeply. So much is to be experienced by the simple practise of Yoga Nidra. You can find out more in my blog here. In the Yoga Nidra programme 2017 we experienced original Yoga Nidra which was mostly recorded live as sessions were in progress. All 18 recordings are now available to buy below, for home practise. 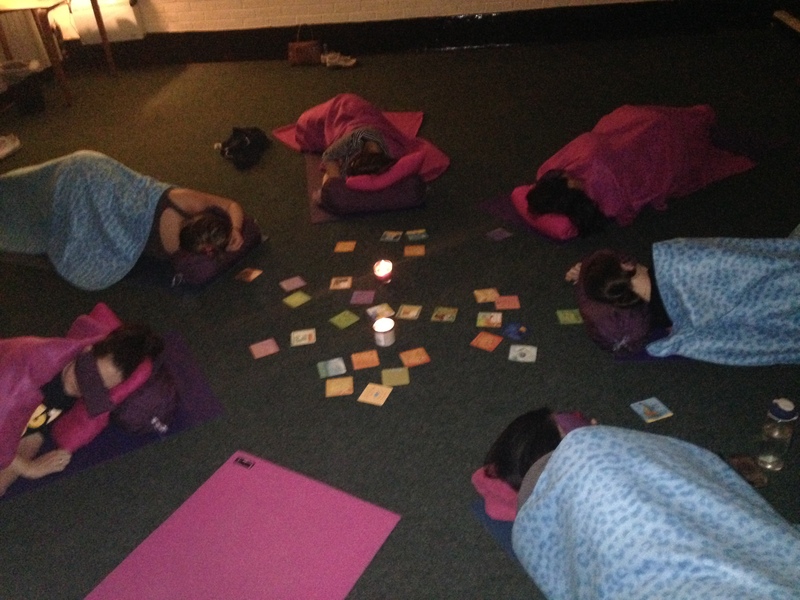 Each class was made up of two or three short, or one long Yoga Nidra practise. 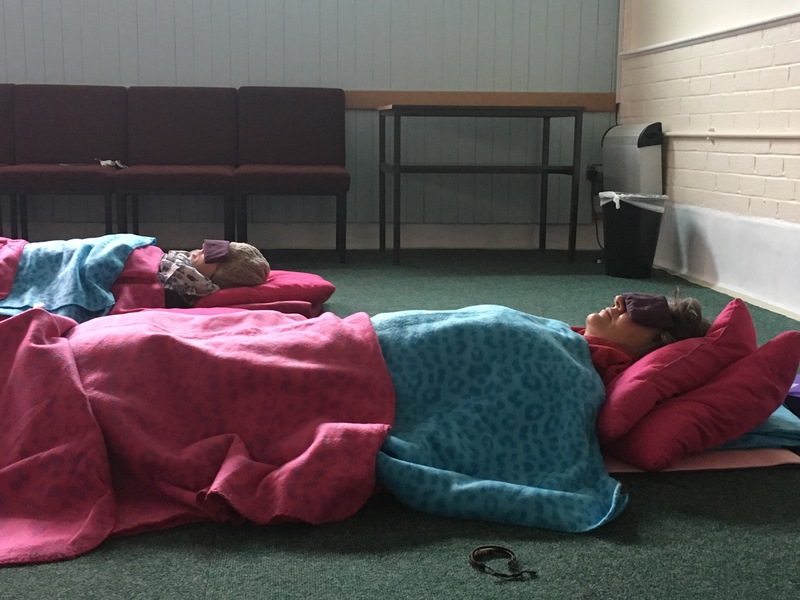 Space is available in the recording for making yourself comfortable and settling the body to begin, and for coming round to full awareness to complete, except in the sleep support recording where there is no end to the practise as it invites you to drop asleep. Please make sure as you settle, that you will not be disturbed, phones are off and that you will be warm and comfortable. No Replies to "Yoga Nidra Programme - Deep Rest"